Are current trends toward “social justice” consistent with a Christian worldview? With the recent release of “The Statement on Social Justice and the Gospel”, garnering over 7000 signatures in its first week, a firestorm has erupted in the Christian blogosphere. While some important differences are coming to light, there is far more unity than the current online scuffle lets on. One reason much of that unity goes uncelebrated has to do with the notoriously fuzzy term “social justice.” Here’s the problem. We could use the term “social justice” to describe what our ancient brothers and sisters did to rescue and adopt those precious little image-bearers who had been discarded like trash at the literal human dumps outside many Roman cities. The same two words could describe William Wilberforce and the Clapham sect’s efforts to topple slavery in the UK, along with Frederick Douglass, Harriet Tubman, and others is the US. “Social justice” could describe Bonhoeffer and the Confessing Church’s efforts to subvert the white supremacist Third Reich. It could also describe Abraham Kuyper’s vision, not an individualistic pietism, but a robust Christianity that seeks to express the Lordship of Jesus over “every square inch” of life and society. Nowadays, the same combination of two words could even describe Christian efforts to abolish human trafficking, work with the inner-city poor, invest in microloans to help the destitute in the developing world, build hospitals and orphanages, upend racism, and so much more. When many brothers and sisters in the current feud hear the words “social” and “justice” put together, that’s the kind of stuff they think about. And they’re not wrong. But for many brothers and sisters, the identical configuration of 13 letters—“s o c i a l j u s t i c e”—is packed with altogether non-Christian and often explicitly anti-Christian meanings. And they’re not wrong. Over the last couple decades and especially in the last few years, “social justice” has taken on an extremely charged ideological and political meaning. “Social justice” became a waving banner over movements like Antifa, which sees physical violence against those who think differently as “both ethically justifiable and strategically effective,” and celebrates its under-reported “righteous beatings.” “Social justice” is the banner waved by a disproportionate ratio of professors in humanities and social science departments around the nation where the neo-Marxist oppressor vs. oppressed narrative of Gramsci, Marcuse, and the Frankfurt School, the deconstructionism and everything-is-always-about-power worldview of Foucault and Derrida, and the Gender and Queer Theory of Judith Butler have been injected into the very definition of the term. This ideological definition of “social justice” has been enshrined in the minds of many students and graduates shaping our culture not as a way but as the way to think about justice. “Social justice” is also the banner over movements with a mission to “disrupt the western-prescribed nuclear family structure,” movements seeking to advance the multi-billion dollar abortion industry, movements on college campuses that have resorted to death threats and violence to silence opposing voices, movements that fire CEOs, boycott chicken sandwiches, and seek through force of law shut down bakeries, crisis pregnancy centers, the Little Sisters of the Poor, and Christian universities who will not bow to their orthodoxy. 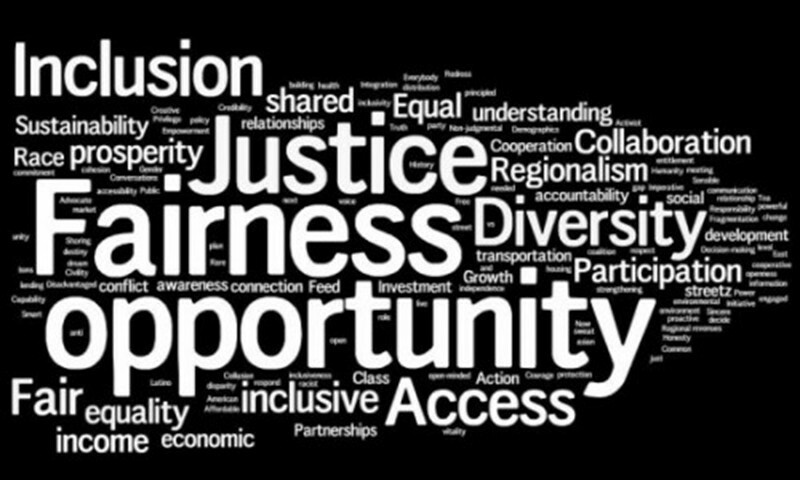 What are the kinds of “social justice” that we can interlink arms and agree, as brothers and sisters, are beyond the bounds of our faith as we seek to fulfill God’s command (not suggestion) to “Do justice” (Jer. 22:3). 1. If by “social justice” we mean an ideology that inspires self-righteousness, i.e., I am not a bigot because I hold these particular views on social justice or am a member of this or that cultural identity group, then I hope and pray we can agree—biblical justice is more humanizing, God-glorifying, and just. A Christian worldview confronts us with the humbling reality that our self-righteousness is like filthy rags and Christ is the only ground for our righteous standing. 2. If by “social justice” we mean an ideology that inspires in its followers a quickness to be offended, then I hope and pray we can agree—biblical justice is more humanizing, God-glorifying, and just. 3. If by “social justice” means an ideology that inspires a spirit of mutual suspicion, hostility, factions, fear, labeling, and preoccupation with one’s subjective feelings, then I hope and pray we can agree—biblical justice is more humanizing, God-glorifying, and just. A Christian worldview offers us the fruit of the Spirit, which is love, joy, peace, patience, kindness, goodness, gentleness, and self-control. 4. If by “social justice” we mean an ideology that rejects ideas not based on their truth value or biblical merit but because of the ethnic or gender identity of the person expressing it, then I hope and pray we can agree—biblical justice is more humanizing, God-glorifying, and just. A Christian worldview calls us in its Greatest Commandment to love God with our whole minds. This includes evaluating ideas based on their biblical fidelity and truth-value rather than the group identity of those articulating it. It also includes acknowledging real oppression and listening well, while refusing to interpret all of God’s world as a mere power play of oppressors versus the oppressed. 5. If by “social justice” we mean an ideology that credits guilt on the basis of one’s skin tone, condemning people based on their group identity, then I hope and pray we can agree—biblical justice is more humanizing, God-glorifying, and just. 6. If by “social justice” we mean an ideology that interprets culture’s borrowing from one another as the oppressive act of “cultural appropriation,” then I hope and pray we can agree—biblical justice is more humanizing, God-glorifying, and just. A Christian worldview calls us as cross-cultural ambassadors for Christ, imitating Paul who “appropriated” Greco-Roman culture on Mar’s Hill, and became “all things to all men” for the sake of the Gospel. 7. If by “social justice” we mean an ideology that deconstructs relationships in terms of “power-differentials” and argues that all such hierarchies are evil and must be abolished in the name of “equality,” then I hope and pray we can agree—biblical justice is more humanizing, God-glorifying, and just. A Christian worldview opposes the sinful abuse of power, including the evil of “those who frame injustice by statute” (Ps. 94:20). It also sees many power hierarchies (e.g., the Creator-creature, parent-child, rabbi-disciple, elders-congregation, teacher-student, and more), as part of God’s good design for human flourishing, character formation, and discipleship. 8. If by “social justice” we mean an ideology that teaches that the human telos (i.e., ultimate purpose and meaning) is defined by the creature, and that anyone who challenges our self-defined telos is an oppressor, then I hope and pray we can agree—biblical justice is more humanizing, God-glorifying, and just. A Christian worldview teaches that the Creator defines our telos and the sinful refusal to live within that God-defined telos brings oppression to ourselves and those around us. 9. If by “social justice” we mean an ideology that divides people into group identities, perpetuating group-struggle so that oppressors can be identified and overthrown, then I hope and pray we can agree—biblical justice is more humanizing, God-glorifying, and just. A Christian worldview teaches that Jesus destroyed the wall of hostility between Jew and Gentile to make for Himself “one man,” uniting people from every tongue tribe, and nation and making them ambassadors of reconciliation. Family and reconciliation, not inter-group warfare, is the Bible’s model for Christian living. 10. If by “social justice” we mean an ideology that sees “heteronormative” sexual and gender distinctions as oppressive and seeks to liberate all forms of sexual behavior and gender expression from such “cisgender constructs,” then I hope and pray we can agree—biblical justice is more humanizing, God-glorifying, and just. A Christian worldview envisions the male-female differences relationship as “very good”—distinctions that cannot be erased without losing something precious—and highlights the male-female sexual union within the covenant of marriage as the only proper and life-giving context for human sexual expression. 11. If by “social justice” we mean an ideology that interprets the nuclear family as an unjust patriarchal system of oppression, a construct that must be abolished, then I hope and pray we can agree—biblical justice is more humanizing, God-glorifying, and just. A Christian worldview celebrates family and upholds the rhythms of self-giving within family as a beautiful and God-ordained signpost of Jesus and his relationship to the Church. 12. If by “social justice” we mean an ideology that celebrates abortion as an expression of female liberation from patriarchal oppression, then I hope and pray we can agree—biblical justice is more humanizing, God-glorifying, and just. A Christian worldview ascribes full humanity and worth to precious, unborn image-bearers of God, and calls us to love and protect those women and their offspring who are exploited or terminated by the abortion industry. Of course, this list is not exhaustive. I have blind spots, and I suspect that there are a hundred points where we could all agree that a Christian worldview offers something more redemptive and beautiful than what is being called “social justice” but will only bring more oppression to the 21st century. I hope others will add to my meager list of 12. We must remember that the Bible does not merely command us execute justice, but to “truly execute justice.” (Jer. 7:5). The God who commands us to seek justice is the same God who commands us to “test everything” and “hold fast to what is good” (1 Thes. 5:23). One of the marks of Jesus, according to the prophet Isaiah, is that, “He shall not judge by what his eyes see, or decide disputes by what his ears hear, but with righteousness he shall judge the poor, and decide with equity for the meek of the earth” (Isa. 11:3-4). Our Messiah doesn’t seek justice at the level of headlines and hearsay. He calls us to true justice, not knee-jerk activism. If we really care about the oppressed and the God who cares about the oppressed, we must carefully distinguish between true biblical social justice, and the kind of justice that masquerades as social justice in the 21st century. Otherwise, we will suffer unnecessary disunity and only hurt those the Bible calls us to help. 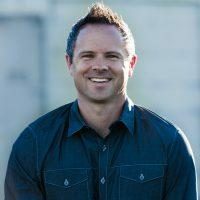 Thaddeus Williams, Ph.D., teaches Theology at Biola University in La Mirada, CA. He has also taught Philosophy at Saddleback College, Jurisprudence at Trinity Law School, Worldview at L’Abri Fellowships, and Ethics for the Blackstone Legal Fellowship the Federalist Society in Washington D.C. He is the author of REFLECT: Becoming Yourself by Mirroring the Greatest Person in History (Lexham Press, 2018), Love, Freedom, and Evil (Brill, 2011). His articles “A New Theocracy,” and “Beyond Capes and Cowbells” explore the worldviews behind today’s social justice movements and his book on the topic is forthcoming in 2019.